Is there anything better than sipping your shaken-not-stirred martini by a swim-up rooftop bar? If part of living the high life means looking over a sprawling tapestry of city lights, this article is for you. 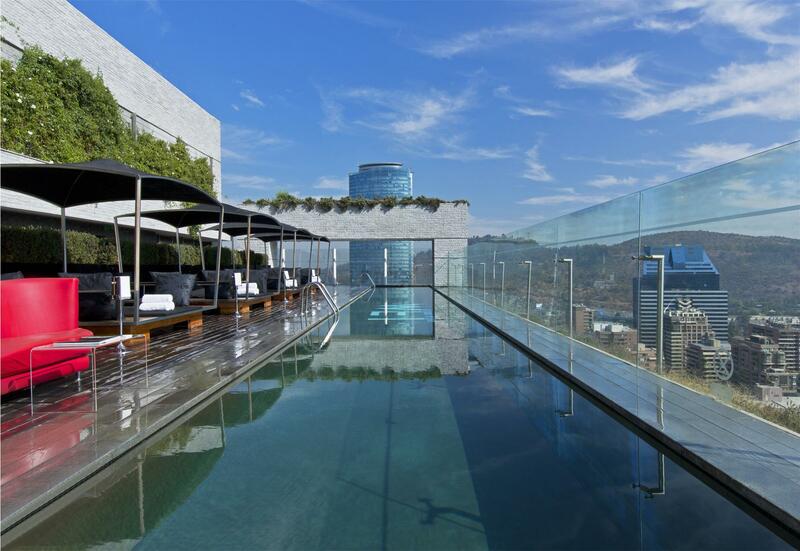 We’ve compiled a list of top rooftop bars and pools from around the world. 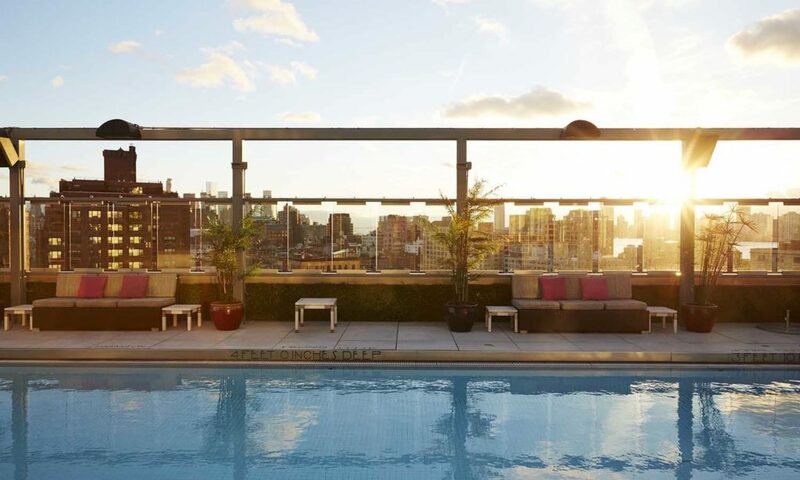 Soaking under the stars has never been posher than at the Plunge at Hotel Gansevoort. With a luxurious heated pool and top-notch sound system, you can glance out over everything New York City has to offer while sipping a Cosmo in the pool. W Hotels around the world pride themselves on being hip and offering the best settings for shenanigans. The W in Santiago, Chile, is one of them. Its heated rooftop pool overlooks the bustling city and takes in views of the distant Andes Mountains. When you’re competing with famed Miami Beach, you better offer a pool that can persuade guests to skip the shore and stay on property. Viceroy’s pool does just that. Three hundred-foot-long infinity pools overlook South Beach from Viceroy’s 15th floor. 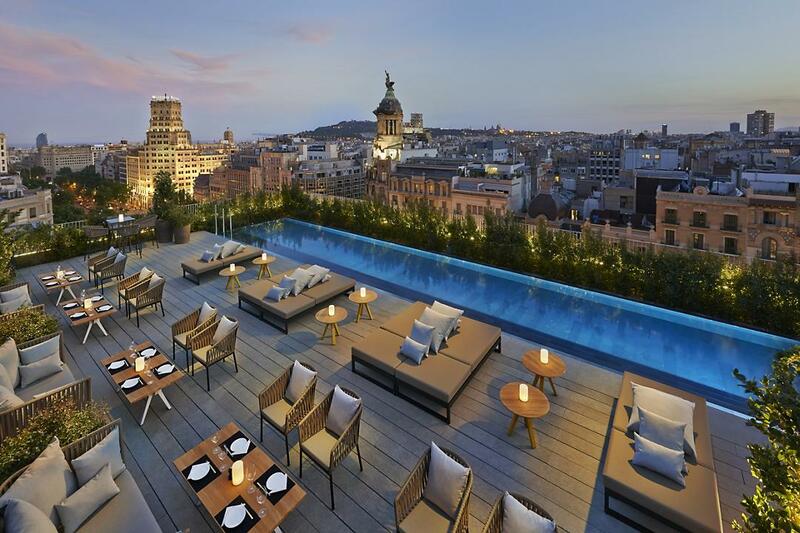 You may visit Barcelona for its vibrant city life and amazing architecture, but after roaming the streets to take it all in, head to the rooftop of the Mandarin Oriental. Here, you’ll find an indoor and outdoor pool with 360-degree views of the city. Oh yes, and they serve tapas. 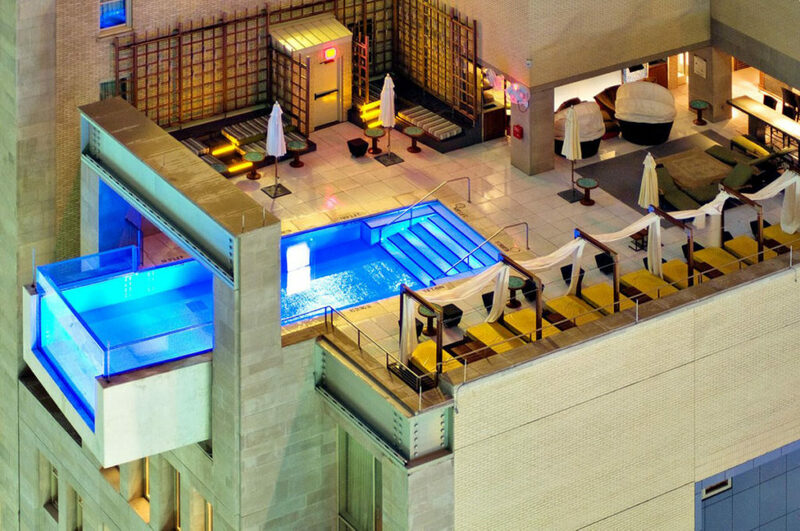 If you are known for braving heights, visit the Dallas Joule hotel. Its pool extends over the street with glass views that may make you feel as though you are floating above the city. The heated, saltwater pool is open year-round. Cape Town may be filled with cars and people, but you’ll feel worlds away when sitting poolside at the Silo Hotel rooftop. Views of the African landscape and waterfront are found through the frames of the concrete structure. With an infinity pool that seems to extend right into the bay, you’ll feel like you can swim straight to the Olympic Mountains in the backdrop of this Four Seasons property. Enjoy 84 degrees of comfort, as well as Jacuzzi and fire pits. 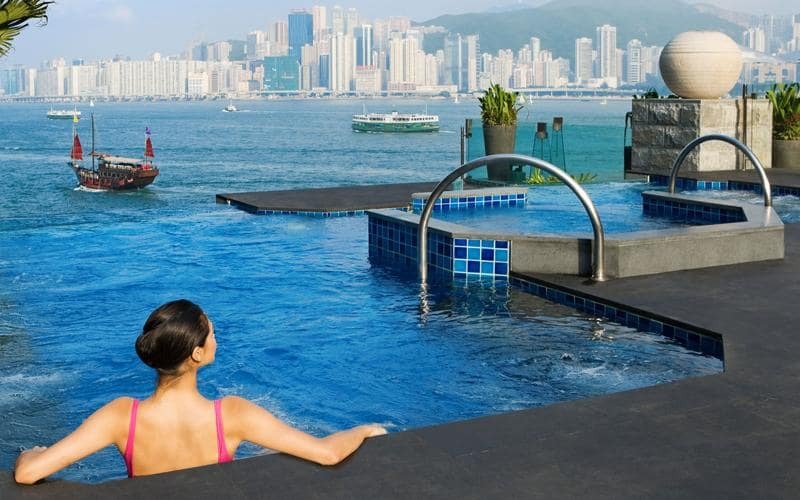 Another infinity pool that seems to take you into a harbor is the rooftop of IC Hong Kong, overlooking Victoria Harbour. Enjoy the large terrace and pool day and night for unique city views. 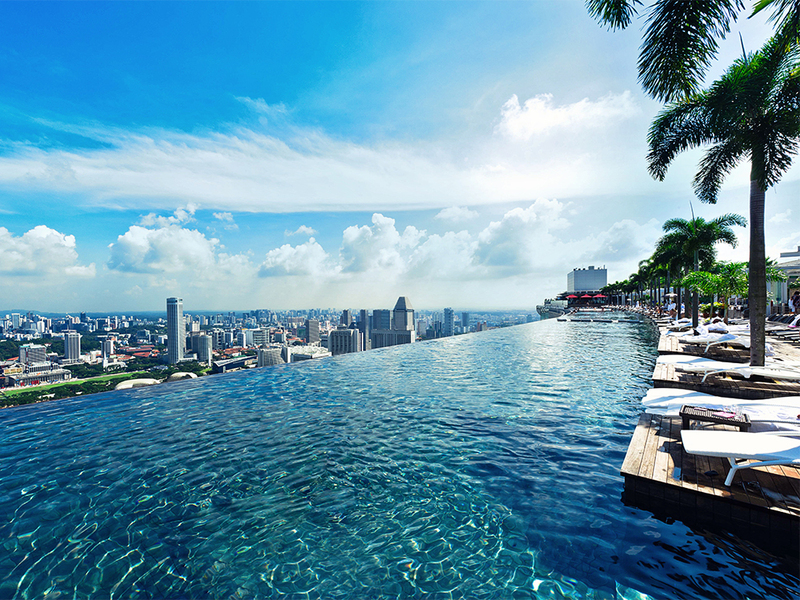 Perhaps the best rooftop pool can be found 57 floors above Singapore. Nearly 500 feet of infinity pool and an observation deck provide uncompromised views of the city and is one of the most Instagrammed spots in the world.